North Americans are living longer than ever before. Today, 46 million Americans and 5 million Canadians (about 16 percent and 17 percent of each country’s total population) are age 60 and older. Many of these older adults may not realize that aging doesn’t dictate a decline in health and quality of life. They can make a difference in their health by choosing a healthy lifestyle. Studies show that eating well and staying physically active can help prevent or delay many diseases and disabilities. Older adults can live longer, more independently, and with greater satisfaction than ever before. A majority of older Americans have one or more chronic conditions that can be improved by good nutrition, according to a 1997 report from the National Center for Health Statistics. Studies also reveal that 40 percent of Americans 65 and over eat poorly. The picture is just as bleak in Canada, according to the National Institute of Nutrition. There are a number of reasons for this. It’s easy. When meals are prepared for fewer people, they may not be complete. When cooking for more people, meal preparers are more concerned about providing complete meals with variety. When cooking for only one or two people, it’s often easier to make one, simple dish, which doesn’t always provide all the necessary nutrients. Others simply graze their way through the day. It costs less. As people retire, they may find themselves with less money to spend or living on a strict budget. This leads to buying foods like premade or packaged dinners that may be inexpensive but nutritionally empty. It doesn’t taste good. With aging, the taste buds may lose their sensitivity and eating loses its appeal. It hurts. Poor dental health can make eating painful. It’s off limits. Some older adults may take medications that restrict their diets in some way. It doesn’t absorb. Some medications affect the absorption of nutrients. Eat with a friend or group. Inviting a friend to share a meal or make a standing date with several friends to eat out together every week may make it easier to eat a variety of foods. Prepare each other’s meals. Get together a group of friends or neighbors and agree to prepare one or two complete meals each week for everyone who participates (depending on the number of people in the group). This way, everyone will get the nutrients they need and only have to cook once or twice a week. It’ll even save money to buy bulk groceries for fewer meals. Join a meal program. Sign up for a lunch program at a community or senior center and enjoy someone else’s cooking. Get some pointers. Numerous organizations offer help with food selection, nutrition, and cooking. The key AIM products for preventing disease and promoting health are whole foods and fiber. AIM Garden Trio®. 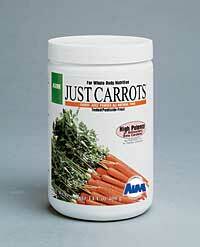 The trio provides the nutrients from the juice of three fresh, raw vegetables. Available in a powder or caps form, the three juices come individually or as a group. 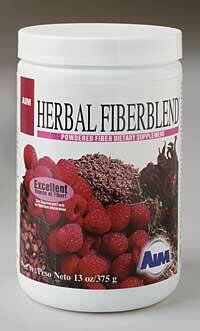 AIM Herbal Fiberblend®. 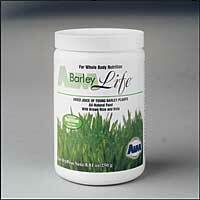 This product provides the fiber often missing from the diets of older adults and important in maintaining regularity. Surveys show that inactivity usually increases with age. By age 75, about one in three men and one in two women are physically inactive. Moderate physical activity can help improve the health of most aging adults or those who have diseases that accompany aging. An inactive lifestyle can cause aging adults to lose ground in four areas that are important for staying healthy and independent: strength, balance, flexibility, and endurance. Research suggests that exercise and physical activity can help aging adults maintain or partly restore these four areas. Even frail older adults can prolong their independence and improve their quality of life by becoming more active. It’s too hard. Some older adults are afraid that exercise will be too strenuous or that physical activity will harm them. An exercise program doesn’t have to be strenuous to be effective. Lack of time. Some people say they don’t have time to increase their physical activity. Think again. There are plenty of ways to make time to be more active. Did you know that older adults watch more TV than other groups? Being tired. Many people say they feel too tired to be more active. Yet many older adults report feeling more energetic from being more active. Choose activities you enjoy. Choose among many activities such as walking, swimming, dancing, and bicycling. Consider taking a fitness or other physical activity class—designed specifically for older adults—at a local gym, recreation center, or senior center. It can be fun! Make the time. It only takes 30 minutes of moderate physical activity each day to make a difference. The 30 minutes can be broken up into shorter periods. It could be 15 minutes of gardening or light housework in the morning and 15 minutes of walking in the afternoon. It all adds up. Just do it. It may take a little push to get moving, but you’re likely to feel renewed and energized afterward. Studies show that diet and exercise can have a positive effect on heart disease, cancer, diabetes, high blood pressure, arthritis, osteoporosis, constipation, heartburn, and gas. 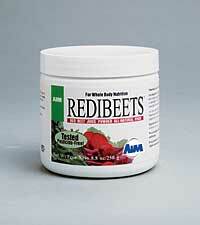 They help aging adults with chronic, disabling conditions and improve their stamina and muscle strength. They help maintain healthy bones, muscles, and joints, and reduce the risk of falling and fracturing bones. Diet and exercise can also improve mood, relieve stress, and reduce the symptoms of anxiety and depression. They improve memory and the ability to think. And diet can help with cataracts. Every day, research is finding more and more benefits of eating well and staying active.